The Syrian refugee crisis has fallen off our news channels lately. This is despite the number of people fleeing the conflict having risen past five million this year, according to the UN. However, where the news cycle may have moved on – temporarily – to different issues, many performances at this year’s Edinburgh Fringe festival are keen to bring the humanitarian crisis back to centre stage. One such example is the new work by Dogstar Theatre Company who are returning to the festival for the fifth time presenting The Sky is Safe at Summerhall’s mainstage. 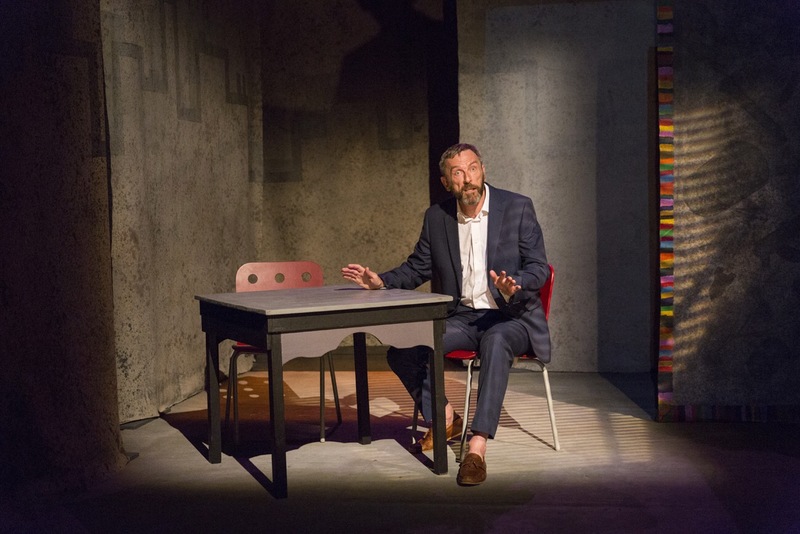 The play interweaves the stories and memories of female Syrian refugees living and working in Istanbul with the plot of a Scottish businessman and his relationship with a Syrian prostitute in the Turkish city. 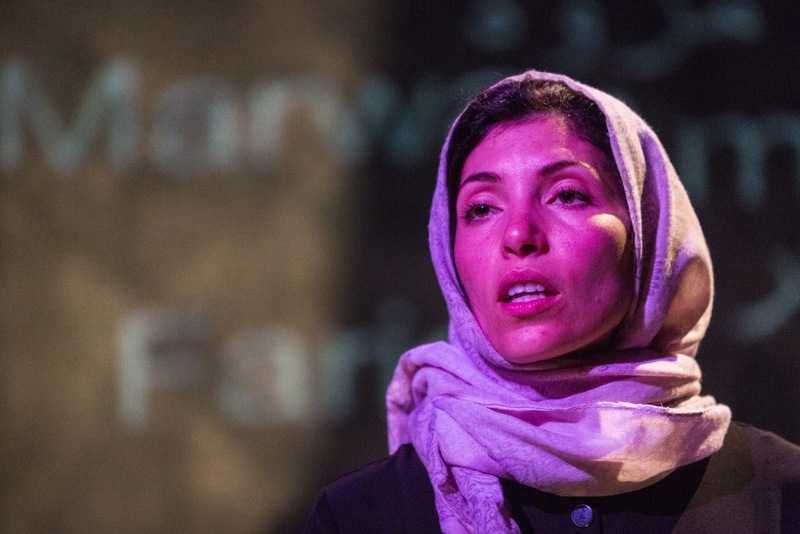 Harrowing and insightful, The Sky is Safe is an anti-war play which gauges with the effects of British corporate interests in the Middle East. Yet the play’s focus is almost entirely on the experiences of women, exploring the ramifications of wars, started primarily by men, on the lives of the female population. Having visited Istanbul before, artistic director Matthew Zajac, who both wrote the script and performs multiple characters, got the idea for The Sky is Safe from a previous experience in the city. “The idea came from one night when I left this rather posh hotel I was staying at, looking for something to eat,” says Matthew when I meet him in an Edinburgh Deli. “This guy, who had obviously been watching me, came up beside me. I was completely suspicious of him but he took me to a kabab place and then suggested we go for a beer. “He took me to this bar, it became obvious the minute we got downstairs that it was a pick-up place. There was this dancefloor in the middle with some attractive, scantily clad young women looking very bored and then booths with Western, middle-aged guys like me. I said my goodbyes then and later I wrote about it. I wonder if he was worried about the subject matter presenting women in a stereotypical way. However, before I have a chance to ask, he says: “I would consider myself to be a feminist – or if I can’t call myself a feminist certainly a strong supporter of feminism, I don’t know if a man can call himself a feminist or not – so I knew that if I was to write a character who was a prostitute I didn’t want her to be a victim or to be objectified. Being cautious of writing about a subject he had limited knowledge of, the majority of the text in The Sky is Safe is derived from a series of interviews conducted by Matthew with female refugees in March 2017. The interviews are performed by Matthew’s co-star, actress Dana Hajaj. “I knew that this was a presumptuous thing for me to try and do,” says Matthew. “You know, I’m from Inverness, I have no experience in the Middle East, I don’t speak Arabic. “But at the same time, I’m from a society that has played a very major role in shaping the history and politics of the Middle East and also sells a massive amount of arms to the Middle East. Matthew contacted the organisation Small Project Istanbul who provided him with an interpreter. He then met with seven women and asked them to tell their stories of their journeys to Turkey. “None of them had a lot of money,” he recalls. “One woman was in what had been a former warehouse in a basement and she has managed to get a few pieces of furniture. I think given the choice most of them would have wanted to go back to Syria but it’s so unstable that they don’t really expect that to happen, certainly not in the next five years. It is clear that going directly to these communities was important to Matthew. “One or two people said to me, why do you need to go to Istanbul to do that, why can’t you just read stuff or maybe there are Syrian women you can meet here? This focus on authenticity has been consistent throughout the development of The Sky is Safe. Matthew got in touch with a Syrian artist Nihad Al Turk who gained refuge in Edinburgh in 2015 after fleeing his home in Aleppo. Al Turk has exhibited internationally in Dubai, London and New York and had been represented by the Ayyam Gallery in Damascus. “I thought,” says Matthew, “I wonder if he’s done any theatre and if he could design a set. As it turned out he had done one theatre project before, I thought let’s give it a go. It adds a great deal of authenticity to the show. Al Turk’s dark illustration of a young women with pigtails has become the poster for The Sky is Safe parading across Edinburgh throughout the Fringe. The thin slits of the eyes and the carefully crafted pencil etchings are strikingly beautiful and bound to draw in curious festival goers. What is Matthew most hoping for audiences to take away from the performance? Posted on August 7, 2017 August 19, 2017 by Tara FitzpatrickPosted in Features, Interviews, Theatre, UncategorizedTagged edinburgh, edinburgh fringe, festival, Fringe 2017, refugees, Syria, Theatre.